PHOENIX — The City of Tempe has until August 20, 2009 to file a formal answer to pro se Plaintiff Brian A. Wilkins’ federal civil rights lawsuit after U.S. District Judge Mary H. Murguia denied Tempe’s motion to dismiss. The lawsuit, filed in April, alleges the Tempe Police have policies, customs, and practices of race-based arrests and falsifying police reports, perpetuated by Tempe Police Chief Tom Ryff, and violated Wilkins’ civil rights when they arrested him on July 22, 2008. Wilkins was arrested after his then-neighbor, Michael Arthur Wood, attacked Wilkins in his apartment at knife-point, according to the complaint. Wood also extorted Wilkins for “$1000.” Wilkins fired his pistol in the air to scare off the attacker and was subsequently charged by the Tempe Police, specifically Officers Mike Wallace and Travis Johnson, with aggravated assault with a deadly weapon, three counts of misconduct involving a weapon, and several other felonies. Wilkins subsequently spent nearly two months in the Maricopa County Jail while being held on a $54,000 bond. The lawsuit also alleges selective enforcement of the law. 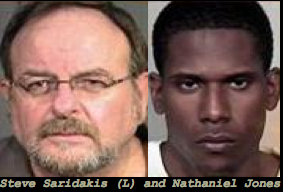 Wilkins alleges he was charged with several felonies for protecting himself on his own property, while “similarly situated” “white” Arizonans, particularly Steve Saridakis, have not been charged with murder or any other crimes for protecting themselves with deadly force in their own property. The suit further alleges defamation of character, intentional infliction of emotional distress, and failure to train. The suit seeks more than $15,000,000 in damages. This entry was posted in 55 Days In Maricopa County Jail, Tempe and Maricopa County Arizona News on August 6, 2009 by admin. I would have probably denied too that motion based on what I know so far. Being a judge doesn’t give you the authority to deny such a motion coming from another authority so I suppose the court had serious evidence to deny it. I am guessing now that the Police will come with a motion for reconsideration… We’ll just have to wait and see.